Festival Sponsors receive prominent exposure and coverage throughout the year and especially in the months before the event. Read more about our 2018 Sponsors. See our 2018 Sponsor Packet to find a sponsorship level that’s right for you. We believe film is one of the most powerful forms of connecting to our world. Films are magic carpet rides to dimensions of experience that mirror, record and inform society about ourselves and others. We find the most moving film experiences, the greatest laughs, tears and life-touching scenes occur when filmmakers are able to create free of commercial censors. While box office numbers for the classic “mega plex” type film experiences continue a twenty-year decline, a revolution toward independent films where risks are afforded is beginning to change the tide for filmmakers and audiences alike. Film Festivals, along with the introduction of affordable filmmaking equipment, have catalyzed this burgeoning sea change. BendFilm has proven to be a key champion of independent film by providing support through education, recognition, respect and reward for film enthusiasts ages 5 and up. The annual BendFilm Festival has drawn over 10,000 attendees to connect with international films and filmmakers in an environment that honors the essential craft of filmmaking. All are invited to share the magic of this marathon of screenings, panel discussions, performances and spirited parties. Each year, BendFilm introduces new educational programs to nurture the art of filmmaking for future generations. 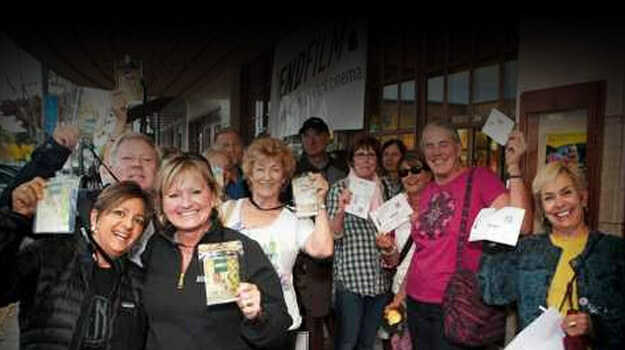 Finally, the BendFilm festival also brings in attendees from over 20 states annually. Our audience collectively spends hundreds of thousands of dollars over the weekend, supporting Bend entrepreneurs during the fall tourist season low. BendFilm is a non-profit 501(c)(3) organization. We need your support to continue. We offer several sponsorship opportunities as summarized below. BendFilm Festival Partners –Festival Sponsors receive prominent exposure and coverage throughout the year and especially in the months before the event. BendFilm reserves the most significant visibility for these, our greatest supporters, by only working with a few Festival Partners and by providing them exclusive exposure that can’t be otherwise purchased. Levels begin at $1,500. Awards – BendFilm showcases amazing films and our filmmakers are competing for our signature trophy and cash awards. Sponsors of awards receive recognition for supporting individual categories of awards and also receive the opportunity to present the award to the winning filmmaker. 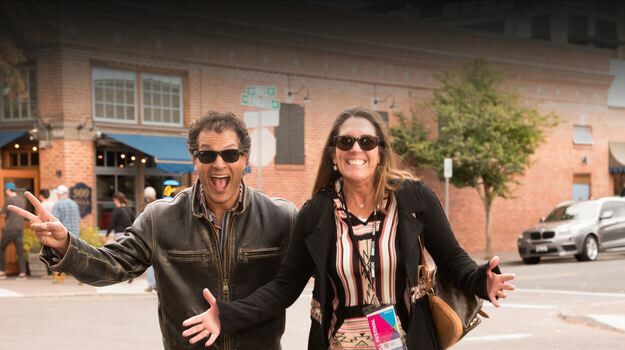 Festival Slide – Purchase a Festival Slide and put your company in front of the BendFilm Festival’s captive audience for $750! Design standards for all slides are as follows: 1920 Horizontal x 1080 Vertical (pixels) at 72 dpi, saved as a JPG. If you need a template: a JPG is available. Please email completed slides to info@bendfilm.org, with the subject “Film Slide”. Thank you again for your support of BendFilm. Please give us a call Sponsorship Opportunities (541)388-3378.